After waking from a five week coma, Theo Kavinsky finds his life in disrepair, and with no memory of the accident, it's up to Ted and Teddy - the conscious and subconscious voices in his head - to work out what happened, and put his life back on track. 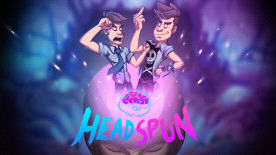 Headspun © 2018. Developed by Superstring Ltd. Published by Superstring Ltd.